The Beginners Photography Class is a small group class for beginner photographers who are ready to master their dslr camera and start shooting like a pro! Learn more about the in-person course here or check out the online class for instant, lifetime access. 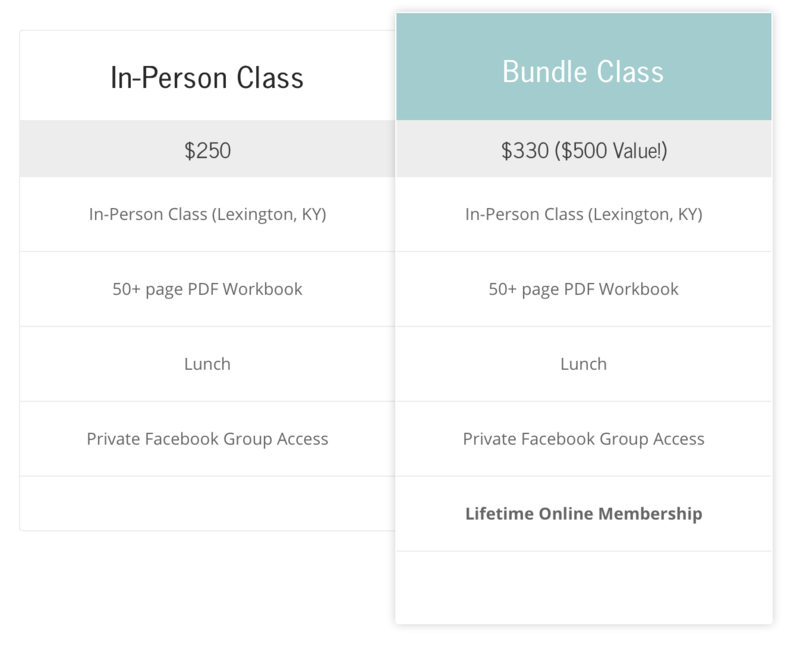 Bundle both classes for maximum impact and savings! Can’t make this date? Don’t worry, another class will be up soon! Sign up for the VIP list to get notified first when registration opens! Bundle the in-person class with the popular online version of the Beginners Photography Class to maximize learning and value! Huge Savings: Over 65% off lifetime online membership. Instant gratification: Get immediate access to the course so you can get a jump start before the live class begins. Exclusives: Get exclusive access to videos and resources only available online. Lifetime Access: Forget something I said? Watch the online videos as many times as you need to fully understand each concept. Downloadable homework and resources like cheat sheets, tips and tricks, and more, to reinforce what you’ve learned. Bundle does not include a coaching call. The fine print: In the event that you purchase a seat and cannot attend for any reason, the seats are non-refundable. They are however transferable and you may sell or giveaways your seat.